Winter blues ….. make mittens! Fingerless mittens are cozy and functional! learning to enjoy what is. down, or we can CHOOSE to focus on something positive. So, when it is dark and dreary outside here are a few things I do to shift the negative energy. (uv) waves. It is supposed to lift your spirits and your energy level. Remember, “if mama ain’t happy, ain’t nobody happy”. get out your felted sweaters and MAKE MITTENS! 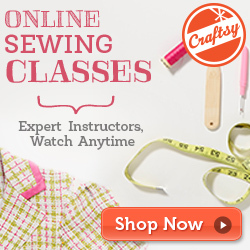 Now that Christmas is over, it’s time for a fun sewing project. Dig out your felted sweater stash, or make a trip to a thrift store and get yourself some wool sweaters. I suggest getting a sweater that is at least 80% wool. The sweaters will shrink down making the fibers nice and tight for a warm water repelling mitten. The pattern to make these mittens can be purchased at my Craftsy and Etsy shops. They really are quite simple to make. If you have little ones, there is a pattern for them too. Designed for hand hugging coziness! Wherever you live and whatever weather you are experiencing, CHOOSE to make the best of it. Before you know it, we will be sitting in the blazing heat. Just keep that thought in your head, and do whatever you need to do to keep your spirits up. I am going to SEW!